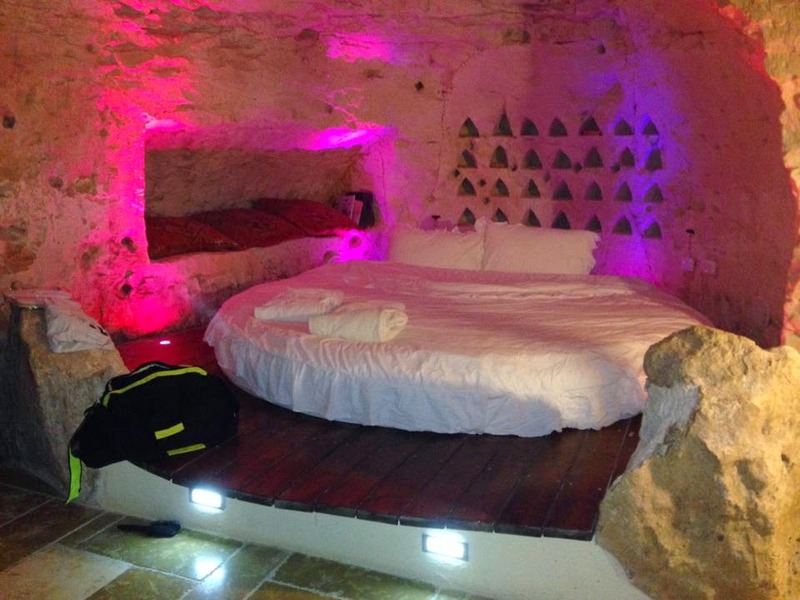 This week we stayed in a cave. No, we didn’t turn into the Flintstones and decide to sleep on the ground with rocks for pillows. Far from it. 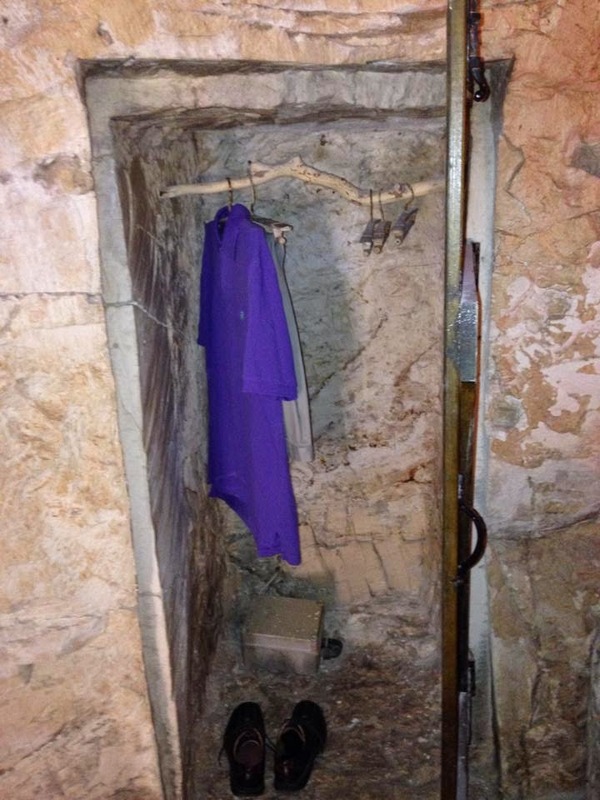 Israel is so filled with out-of-the-way and truly unique finds. It’s one of the things that I simply relish. 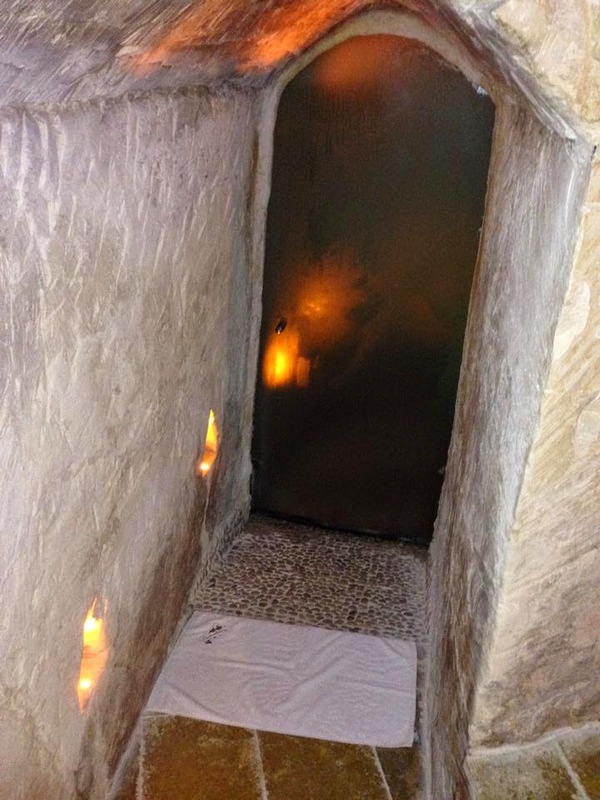 When I plan a family vacation in Israel, I often stumble upon unique and interesting ideas that I put into a file and save for “some day.” And the Columbarium has been sitting on the list with a big star on it for quite awhile. 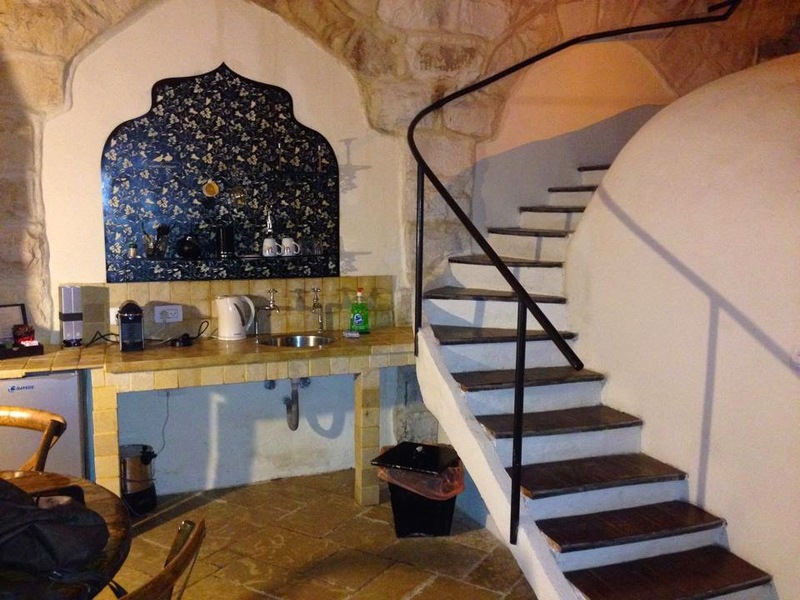 So, when I told a few friends this week that we were going away, they expected me to say that we were heading for a hotel…in Eilat, at the Dead Sea, in Tel Aviv. And when I told them that we were going to a cave, they just started to laugh. 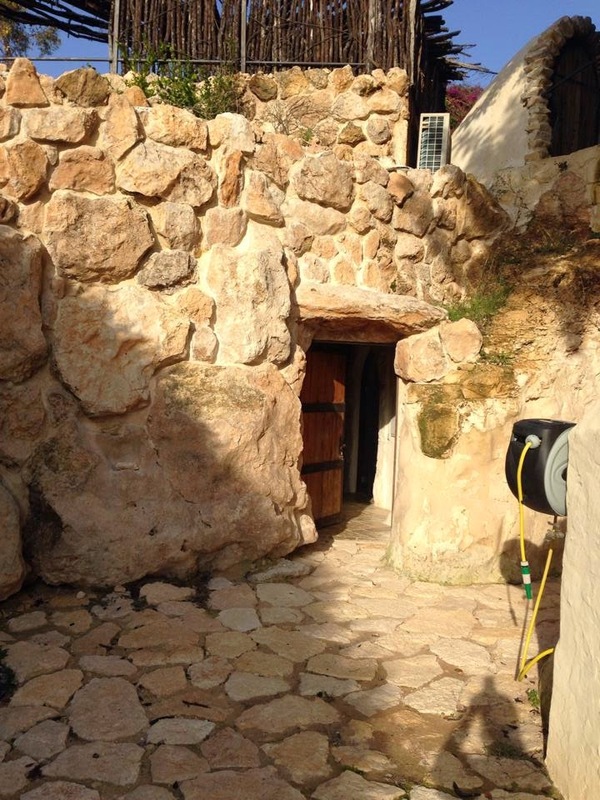 Because this cave may be one of the best finds of all time in Israel. It’s set at the far end of a lovely moshav in the Lachish region, about 25 minutes from Kiryat Gat. 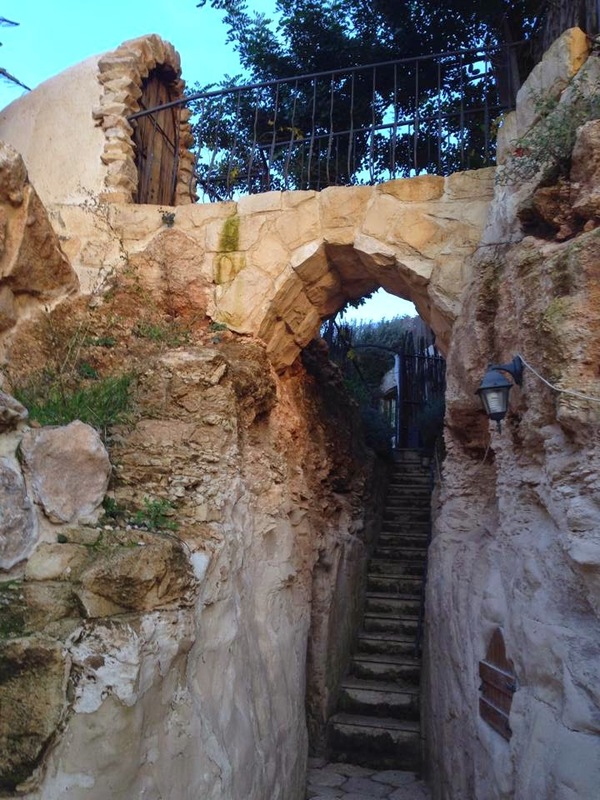 From what I understand, the family who lives there discovered that they had caves on their property. 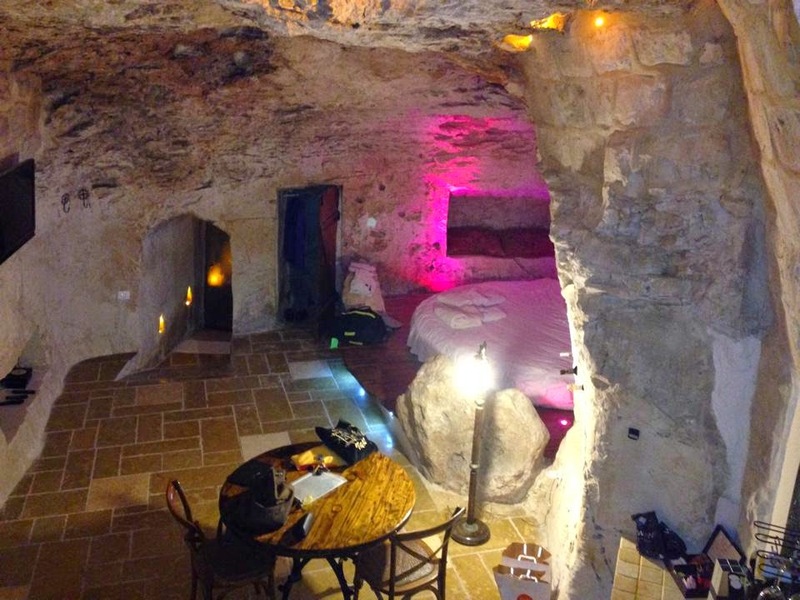 And just as everyone would do with this discovery, they created two absolutely stunning luxury guest houses out of the caves. There are robes and slippers for your use, a coffee maker and teas and every other amenity you can imagine. 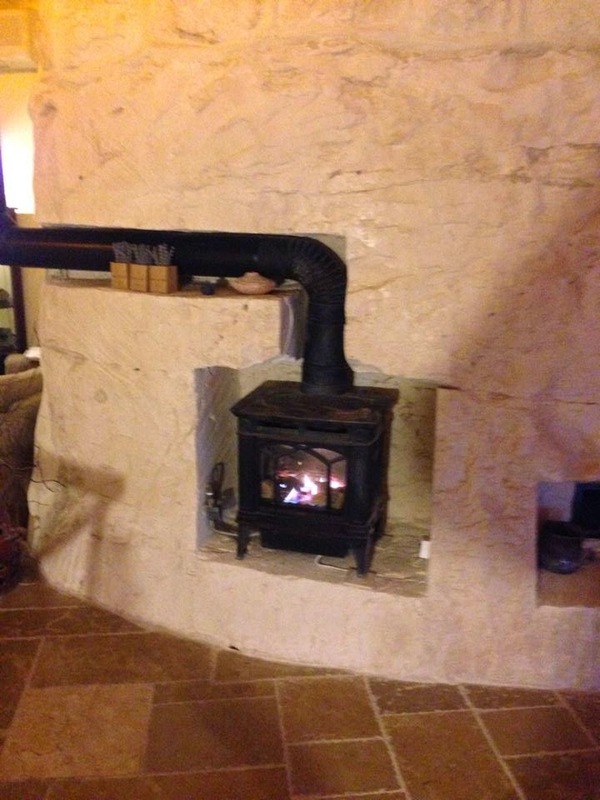 And you won’t be cold here, as they have a romantic little fireplace to enjoy (and air conditioning on the wall if you’re hot). But wait..it gets better. Through this door there is a room about the size of a bedroom. And it’s filled with a jacuzzi that has a waterfall! The waterfall heats the water in the jacuzzi and you can turn it on or off as you desire. This is inside the cave! Your own private jacuzzi room with waterfall. And for those who need even more soaking time, there is a beautiful bathtub. 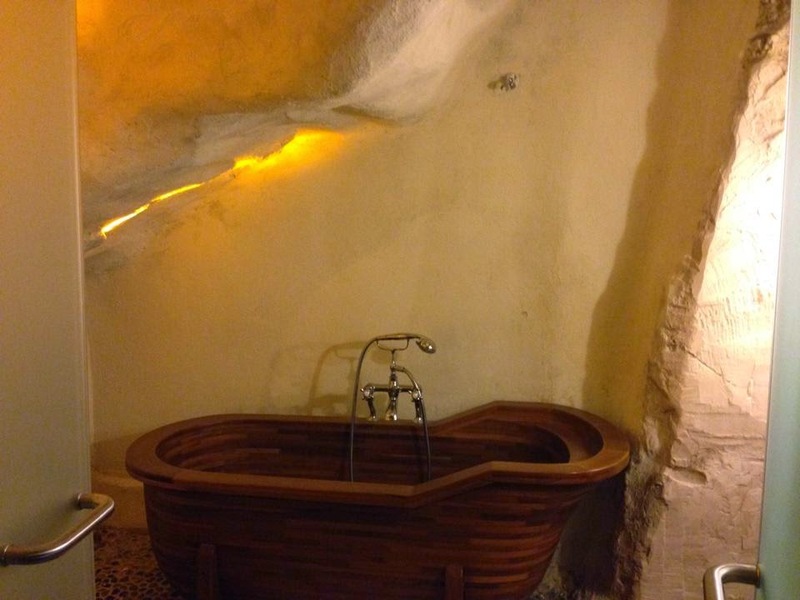 Soak away in your cave! AND both rooms have private gardens where we hung out and ate an amazing breakfast that they provided (I was eating too much to remember to take a picture…). 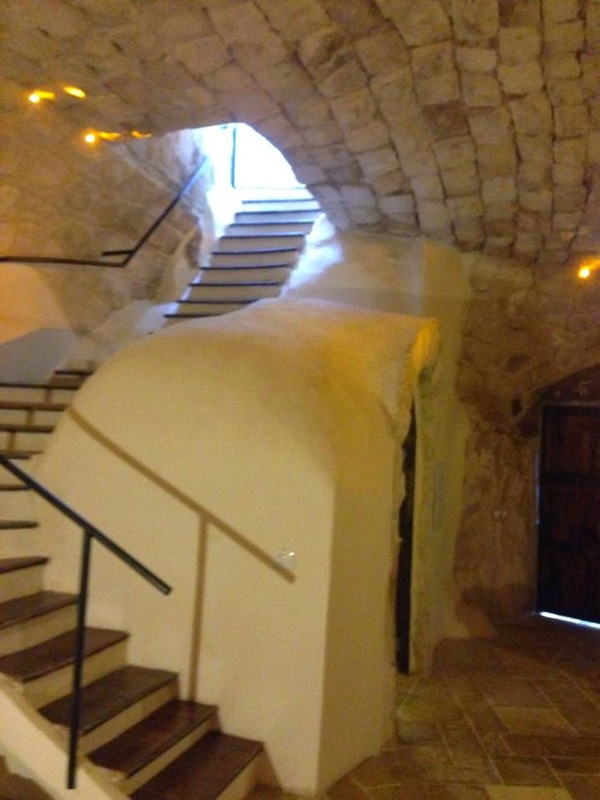 But here are the stairs inside the cave that led to our private garden. Anyone who still thinks a hotel is more fun is welcome to head to one right now. Me? I’m definitely a cave woman through and through. Here is their official website, should you want to be a cave woman or man as well.